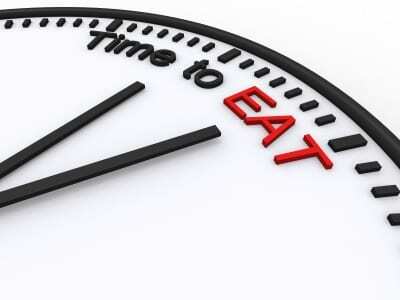 Home | Blog | Too busy to prepare a healthy family meal? Too busy to prepare a healthy family meal? The study found that parents who are stressed only prepare on average 4 meals a week, whilst parents who are not found to be as ‘busy’ are preparing 5.5 meals per week. The hours speak for themselves – full time Mums spend on average 8.8 hours cooking and preparing meals each week, whilst Mums who don’t work spend 11.5 hours per week preparing and cooking for the family. What about the Dads? Well according to the survey the same rule applies, when Dad works fulltime, less time is spent in the kitchen. Fulltime working Dads spend on average 4.7 hours each week preparing and cooking meals, whilst the Dads who don’t work or only work part time spend on average 7.4 hours per week making the family meal. It also came across that when parents have higher ‘stresses’ due to work / life balance, the less likely it is that the family eats together each night. So what happens in your house? Do you cook every night? Is it just easier to order in sometimes after a long day? And how do we manage healthy eating when it’s usually more expensive anyway? I know in my household it would be perfect to just have someone write a weekly plan for me each week so I didn’t have to think about it every night….. Such an important part of our lives, our health, our well-being. Need to put the appropriate value on it. Some other things make have to give. Planning is a great start. We do not have alot of take-away as home cooked meals we prefer! I find I have a lot of trouble with this. I cook every night. Takeaways if we’re out and about. I know a mum who budgets as much for groceries as she does for takeaways every week. And they have a 2 yo!!! I always do a meal plan which can be flexible but makes shopping and tea making easier. meal planning is important, we have a plan but it is flexible, but we cook every night, it would be rare to ever have takeaway, my kids may have it sometimes for lunch, but dinner is family time and everyone sits around the table and then we all do the dishes and clean up together, then the evening is your own. Thanks for sharing; meal planning is so important in this household. I get a bit cross with myself sometimes because I know if I meal plan life is so much easier and we generally stick to the meals we plan because it is already there set to go and no thinking is involved. But when plans are not put in place it is often so we think easier to have take out or frozen dinners etc at home. But in reality the time it takes to order and wait for delivery or to go out and get a meal you could easily cook so many simple meals at home. I try my be to pre-prepare and plan for the week, makes it so much easier during the week.